The GST Council on Saturday exempted sanitary napkins from the Goods and Services Tax. The government had faced a lot of criticism from several quarters for keeping sanitary napkins under 12 percent GST slab which many said would adversely affect the reproductive health of women. The GST Council met today to take a decision on this issue which had also seen multiple petitions being filed in different high courts. 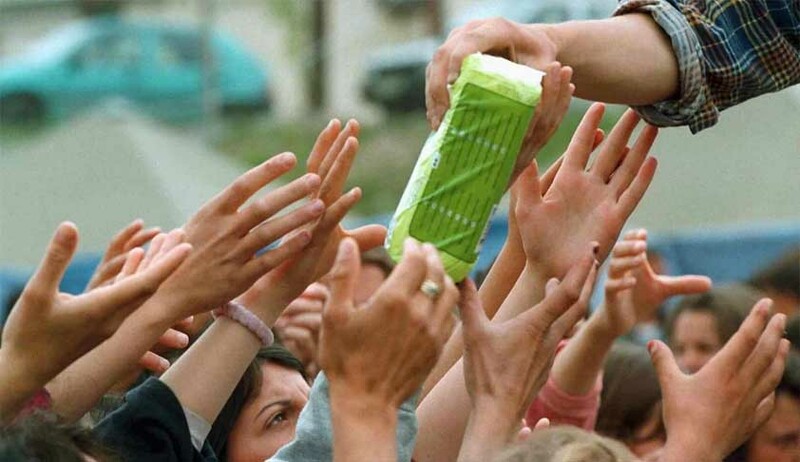 Many likened GST on sanitary napkins as playing havoc with reproductive health of large number of women, especially from lower economic strata when of the 355 million menstruating women in India, 88 per cent do not have access to sanitary napkins and the root cause of approximately 70% of all reproductive diseases in India is poor menstrual hygiene. The Saturday’s decision bringing sanitary napkins out of the ambit of GST was welcomed by masses with many taking to twitter and other social media platforms calling it a “much needed” and a “big relief”. It is to be noted that in July, 2017, a Ph.D. scholar from Jawahar Lal Nehru University, Zarmina Israr Khan, had moved the Delhi High Court seeking quashing of 12 per cent GST on sanitary napkins saying they have inexplicably been subjected to taxation under the GST and that too at a grossly high rate of 12% by grouping them with toys, leather goods, roasted coffee, mobile phones and processed foods amongst others items, all of which are subjected to a GST rate of 12%. “The classification of an essential and critical sanitation product with goods non-essential to survival, reflect the extent of the gender-inclusive priorities, or the lack thereof, of the State… all types of contraceptives, including condoms, have in fact been subjected to a ‘nil’ tax rate under the GST. The action of the Respondents amounts to ensuring that a woman is liable to pay tax on her inevitability to menstruate, a biological process that is inherent in women. Such an action, at best, represents a palpable nonchalance to the everyday reality faced by women in India, and at the worst, represents a parochial and misogynistic mindset,” she had petitioned. A similar petition was filed before the Bombay High Court by Mumbai-based NGO Shetty Women Welfare Foundation. In January, the Supreme Court had stayed the proceedings pending before the Delhi and Bombay high courts on a transfer petition filed by the Centre.